I want the attendees to understand that automation can help companies in every industry become stronger global competitors. This is true for companies of all sizes – automation isnt just for large companies. Automation is more affordable and easier to implement than ever before, which is why were seeing fast growth in automation use around the world. What have been the most significant changes you have seen since Automate 2011? The industry continues to develop new solutions to meet the needs of all customers, large and small. Many of the solutions incorporate robots that are capable of working with less safeguarding than ever before. This is important because it opens up new opportunities for using robots in close proximity to people. What are some of the new and interesting Robots that will be at Automate 2013 this year? Certainly Baxter from Rethink Robotics, which had been highly anticipated, in part because of its ability to work in close proximity with people in a manufacturing environment. Along those lines, the robots from Universal Robots in Denmark also are of particular interest. These two examples are part of a new trend towards robots that are simpler to program as well. Can you tell us about some companies who are successfully utilizing robotics to improve their bottom line and production? We will highlight three of these companies at Automate 2013 at a special session on Tuesday morning, January 22. Marlin Steel, Vickers Engineering, and Wiscon Products are great examples of companies that automated, found new market opportunities, saved or created new jobs, and have remained globally competitive thanks in large part to robotics and automation. Will you have any special guest speakers this year? If so, who? Henrik Christenson of Georgia Tech will give a keynote address on Monday, January 21, focused on the future of robotics. Henrik is very tied into leading developments in robotics around the world and has helped develop robotics roadmaps in the US and Europe that give a good indication of where things are headed. Steve Forbes, Chairman and Editor in Chief of Forbes Media, will give an insightful presentation on where the economy is headed, which will be of keen interest as we begin 2013. What is the main message you want people to get out of the show this year? I want the attendees to understand that automation can help companies in every industry become stronger global competitors. This is true for companies of all sizes – automation isn’t just for large companies. Automation is more affordable and easier to implement than ever before, which is why we’re seeing fast growth in automation use around the world, even in places with an abundance of low-cost labor. The reason for that is because the main drivers for automating are typically to improve quality, increase productivity, speed time to market, and keep up in a world of rapid change. Where does the U.S. place in their use of robotics compared to other countries? The US is second in the world in robot use, trailing Japan. China is the fastest growing robot user. However, we see enormous potential for robots in the US going forward, as well as in other industrialized and industrializing nations. Looking forward, how do you see the Robotics Industry evolving over the next 5 to 10 years? I believe we’ll continue to see robot technology expand beyond the factory into more areas of our lives. Agriculture, warehousing, entertainment, restaurants and retail, hospitals – we’re already seeing some of this and I expect to see even more applications going forward. However, the one area that I think will take longer than 10 years is the home. We currently see single purpose robots in the home , such as vacuum cleaning robots, but nothing that can perform multiple functions successfully, such as an elder care robot. There’s a lot of great research being done, but the home is a far more complex and difficult environment than a factory, so I think that’s more than a decade away. What do you feel is the most important factor for your vision to come true? Joe Engelberger, the “father of robotics,” likes to say that new robot applications start with a simple question: “Do you think a robot could do that?” If the answer is yes, as it increasingly is these days, then I think we’ll see an explosion of new applications in the next decade. 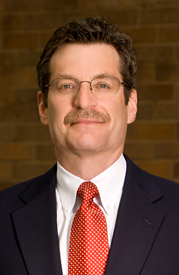 Jeff Burnstein is the President of the Association for Advancing Automation and the main organizer of Automate 2013.